360 pages | 67 B/W Illus. 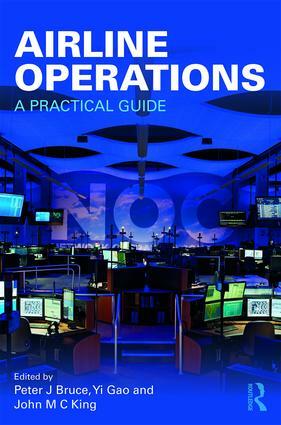 Written by a range of international industry practitioners, this book offers a comprehensive overview of the essence and nature of airline operations in terms of an operational and regulatory framework, the myriad of planning activities leading up to the current day, and the nature of intense activity that typifies both normal and disrupted airline operations. The first part outlines the importance of the regulatory framework underpinning airline operations, exploring how airlines structure themselves in terms of network and business model. The second part draws attention to the operational environment, explaining the framework of the air traffic system and processes instigated by operational departments within airlines. The third part presents a comprehensive breakdown of the activities that occur on the actual operating day. The fourth part provides an eye-opener into events that typically go wrong on the operating day and then the means by which airlines try to mitigate these problems. Finally, a glimpse is provided of future systems, processes, and technologies likely to be significant in airline operations. Airline Operations: A Practical Guide offers valuable knowledge to industry and academia alike by providing readers with a well-informed and interesting dialogue on critical functions that occur every day within airlines. Peter J. Bruce spent nearly seventeen years as an operations controller in airline operations and has considerable first-hand experience and expertise in this environment. His PhD focused on operational decision-making in airlines and he has presented his work at domestic and international forums and conferences. Besides being chief editor of Airline Operations: A Practical Guide, he has written and published four other texts, including Understanding Decision-making Processes in Airline Operational Control (Ashgate, 2011). He is Deputy Chair in the Department of Aviation at Swinburne University of Technology, where he is an active researcher in the areas of airline operations, controller selection and training strategies, operational decision-making, and airline safety. He instigated and developed the highly popular Aviation Study Tour at Swinburne, conducting the first six global tours which took groups of students to visit key aviation organizations. Peter’s teaching areas focus on aviation business and strategy, and airline planning and operations. Yi Gao is the Aviation Undergraduate Course Director in the Department of Aviation, Swinburne University of Technology. As a researcher, his principle research areas include airline operations optimization, aviation safety, pilot selection, and pilot learning/cognitive styles. As a senior lecturer, he is currently teaching Aviation Regulation and Operation and the undergraduate capstone research project. As an aviation enthusiast, he holds an FAA Private Pilot license. John M. C. King established a consultancy providing government relations services for airlines and the tourism industry after a twenty-year career in the airline industry. He also conducted several aviation sector reviews for international organizations including The World Bank, UNDP, and the UN World Tourism Organization. He has been Chairman of a stock exchange-listed company in the tourism sector, Chairman of the Travel Compensation Fund (a co-regulator of the travel agency industry), and he served for three and a half years as a Commissioner of the International Air Services Commission. John is involved in delivering postgraduate courses at Swinburne University of Technology and has served on the Board of Advice of the Institute of Transport and Logistic Studies at the University of Sydney. John is also a fellow of the Royal Geographic Society.